If your parents were business owners, they may have belonged to the local chamber. If they did, it was likely one of the first things they did when they opened their business. They hung an open sign on the window and applied for chamber membership. People of that age knew that was how business got done. There was only one way to network, in person and the chamber offered that in spades. But we're quickly approaching a new decade and there's a lot more to running a business than simply attending a networking event. 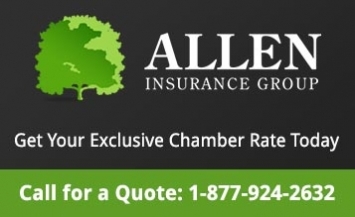 If you haven't looked into chamber membership recently, you may be surprised how much it's changed. Okay, don't misunderstand. Chambers still love those things and welcoming a new business into town by hosting a ribbon cutting with a ridiculously large pair of scissors is just as much fun as it looks. And they do those often. They also still love coffee and connecting people at those types of functions. But chambers are now taking a more personalized approach to serving you and helping you see membership as an investment in your business. The world changes fast these days and chambers are at the forefront of these things making sure their members are prepared for the changes and understand critical business components like social media. Some chambers are also hosting sessions that prepare their members for the unfortunate realities of businesses today like workplace violence, active shooting scenarios, and sexual harassment. And chambers generally extend these learning opportunities to all employees of member businesses. Chambers are also using strong web and social media followings, to drive traffic to member websites and social media platforms using member spotlights, directories, member content, and blogs. Chamber members are part of an effective, interlocked network that benefits from the chamber's large social media following. One of the reasons chambers often understand the plight of business is not just because they studied it in school. They know because they're a part of your community and often have owned at least one business themselves. Not only do you have the power of decades of chamber knowledge at your disposal, you also have help from a fellow business owner. Today's chambers work closely with economic development groups and schools to ensure that tomorrow's workforce has what's needed to be successful when you hire them. Your chamber may have a hand in ensuring the community has enough training in critical areas of growth industries and it may also be involved in trying to make the town "interesting" in order to keep the younger generation at home and not leaving town to look for work. Chambers these days are lobbying at a local, provincial, and federal level to ensure the needs of businesses are addressed and spoken for. Many large businesses are paying lobbyists to speak up for their needs. The chamber ensures every voice of business is heard. Most businesses are eagerly sifting through the Interwebs looking for content that is of value to their audience. The chamber can be a good source of inspirational community stories and local events. Just follow the chamber on social media and their blog for valuable content delivered daily. You know...the kind that makes you feel good. Who communicates to the outside world when your community is open for business? If you've never experienced a natural disaster in your town, this is probably not a question you ever think of. But if you have experienced one, you likely have been very thankful for those pro-business advocates who get to work after the first responders leave. They communicate to the outside world that your community is ready for business and they work hard to ensure that those tourism dollars begin flowing again. Think your local chamber is out of touch with your business' needs? Then you haven't looked into your chamber or its offerings recently. If you want to grow your business leveraging new tactics, it's time to get in contact with them. If you're already a member of your local chamber, consider sharing this article with someone who hasn't discovered the benefits of chamber membership yet.